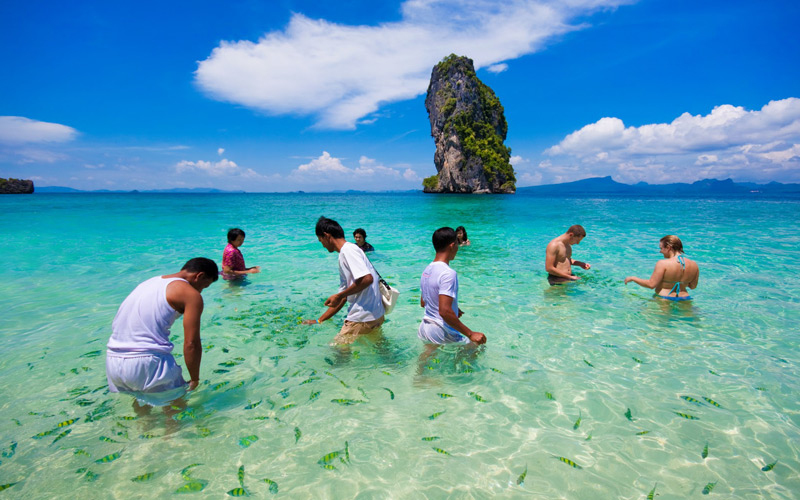 Poda Island (Koh Poda) - the largest of the islands described, with 600 x 1,000 meters in size and the shoreline is about 3 km long. At the same time, it is the highest island with tall cliffs more than 230 meters. The island has an excellent beach Poda length of over 1 km., with crystal white sand and a different looks, like on the neighboring islands, and on the far cliffs located Peninsula Reilly. Near the beach, at a distance of several tens of meters, it is a shallow coral reef with tropical fish and other marine life. 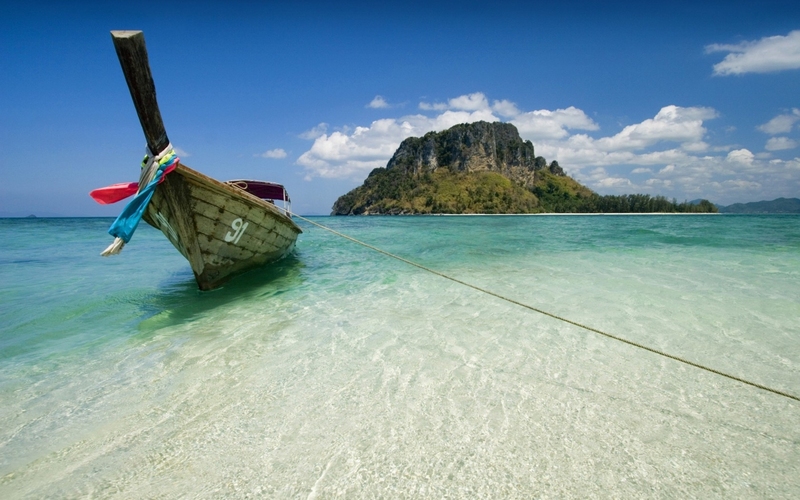 It is not difficult to guess, this is a good place for snorkeling. If you decide to go for a swim and snorkel, do not forget to feed the fish, even bananas. This will increase their number around you. Among the other attractions Poda Island can note the impressive rock Ma Tang Ming, located a few hundred meters to the north of the island. 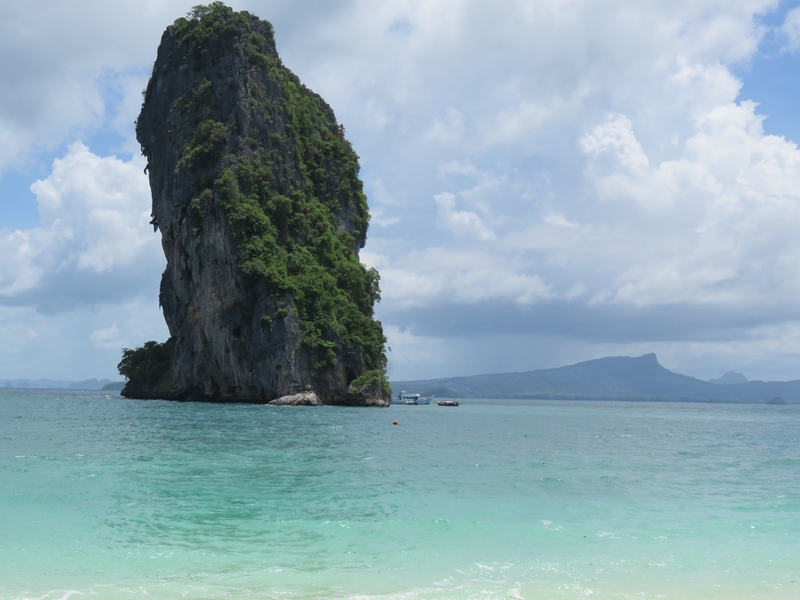 This rock is notable not only for its appearance, and the hundred-meter height, but also the fact that in the area of ​​the rocks is one of the best dive sites in the center of Krabi.